The ocean and abundant plant life of Puerto Rico influenced my creative practice from an early age. 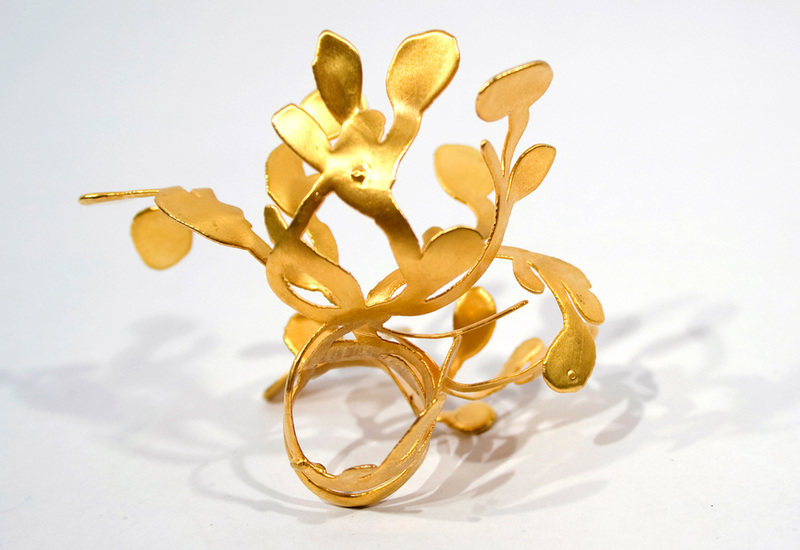 The geography, culture and traditional background of this tropical island inspired the connection of the ocean and marine biology to my jewelry. I am interested in aquatic processes such as how corals adapt and respond to their environment, be it from changing water currents, fluctuating temperatures or the intensity of sunlight. I compare the life and development of coral reefs to my own life and the impact contemporary lifestyle has on the environment. 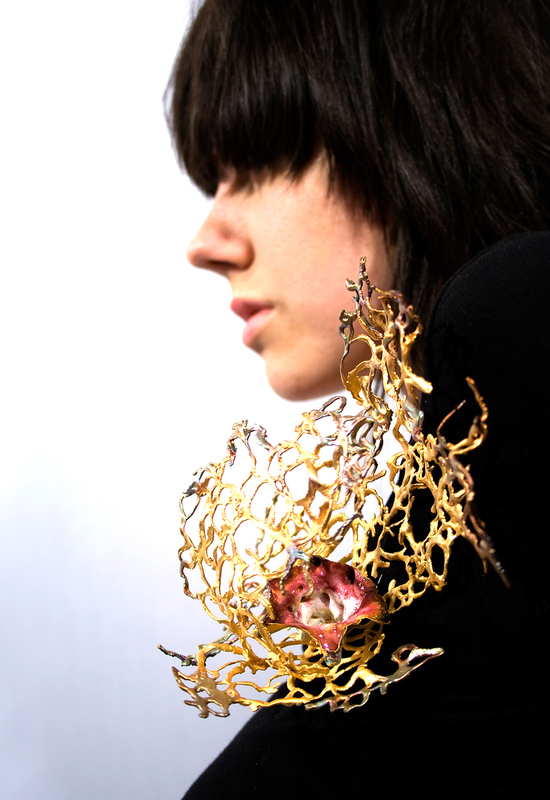 My jewelry finds life in such delicate surroundings. In my practice, I find a symbolic connection to my inspiration through a process rooted in a watery birth. 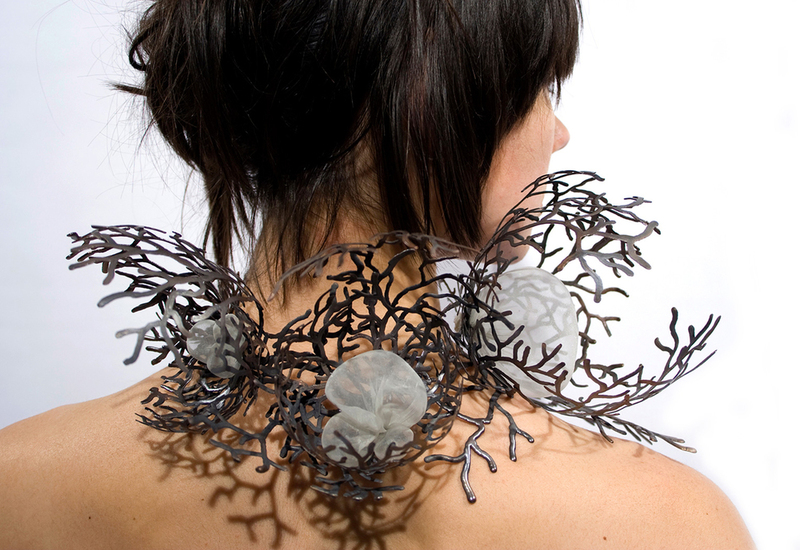 By means of body adornment I explore how my surroundings affects my spiritual growth. I highlight both the impermanence and fragility of endangered natural forms in the dying ecosystem with the delicateness of my work. Making wearable art grounds me with a sense of self, reconnecting me to the place I call home and the life I long to protect. It symbolizes a layer of insulation and perplexity between the contemporary world and me.